Shannon, it’s lovely to talk with you. Tell us about yourself—you know, all that stuff that makes you interesting! A random biography with strange facts and more than you ever wanted to know about me: I was born in Nebraska, moved to Oklahoma as a child (bad move during football season–Cornhuskers vs. Sooners) then soon after moved to Kansas where I still reside. I grew up with two sisters and dreamed of being a dancer (practiced being a back-up dancer in the bedroom while my sister practiced being a rock star singing into the hairbrush and performing on the bed…uh, I mean stage). Then a gymnast…then a writer…then a counselor…you get the idea! I have been writing for as long as I can remember but ended up going to college and getting a psychology degree and followed it with a Masters in Organizational Development/Human Resource Development and ended up with a career designing training programs where I specialized in the virtual classroom, application based classroom training and blended learning solutions. My favorite color has changed over the years but finally settled on blue–but who knows it may change again one day. While I grew up with cats, my husband has since converted me to a dog lover, my now favorite pet. I still like cats, but I have two Scotties who are my babies. I love a good movie but not as much as a good book. I like suspense, action, superhero movies and read similar books with my son, but at heart I’m a romance girl. Romance is my favorite type of book to read. 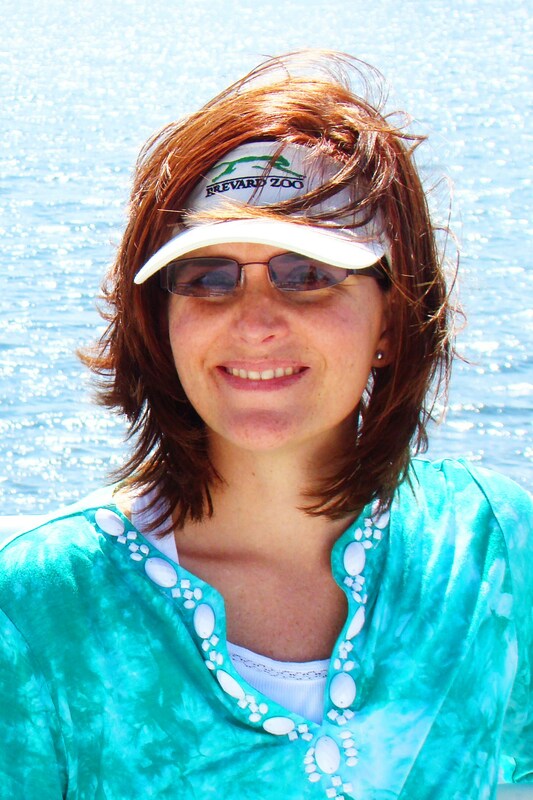 I love to dance, though with Fibromyalgia I don’t get to anymore, I love to travel especially to tropical locations and I love to spend time with my husband and son. I was truly blessed when God brought my husband into my life and again when He gave me my son. They provide me with so much support and love that my time spent with them is always treasured–even when they tease and poke and drive me crazy, but don’t tell them that! I have been writing poetry and stories for as long as I can remember. I saw inspiration in everything and it served as an outlet for me; a way to explain things I’d seen or experienced, feelings I had, frustrations, etc. I had a friend in high school and we would go to the park, sit on the deck overlooking the water, I would write, she would draw and be my sounding board. Once I had my son, we would spend hours making up stories together. My ‘day job’ of writing and designing training programs has allowed me to use my writing in a different way. I can’t imagine not writing, it’s a part of me. I consider myself a Christian author across genres. My first three books were poetry books and my fourth is a nonfiction book about Fibromyalgia. I have a couple children’s books that will be published once illustrated and some additional nonfiction books about my areas of focus and expertise in designing training programs. There is also a fiction novel rolling around in my head that may make its way onto paper someday soon! I hope that regardless of genre, all my writing is educational, inspirational, encouraging and/or Christ-focused. It depends on what I’m writing. Poetry I am typically moved by an experience, inspiration, feeling or story that I have to get down on paper. This is done with actual paper and pencil–not a computer. I have to write poetry on paper, then once they are written, I will determine an organization and structure for the book and enter into the computer. For other works, I create rough outlines (again with paper and pencil), making notes, drawing arrows, crossing things out until I have a good feel for the book or the story. Then I turn to my computer and write. Often things change and shift as I’m writing–It would seem the story knows how it wants to be told. I am a HUGE reader, can’t stand not having a book that I’m reading and there are so many authors that inspire me. I love anything that makes me feel. If a book makes my laugh out loud or cry while I’m reading it, it is a well written book and inspires me. In the poetry genre, I am inspired by poets at opposite ends of the spectrum–Shakespeare and Dr. Seuss. Otherwise, my favorite genre is romance and all of its wonderful sub-genres. Some of my favorite authors are Dee Henderson and Nora Roberts, but I have been reading and reviewing for many new authors so this list continues to grow rapidly! I don’t know if I can choose a favorite. 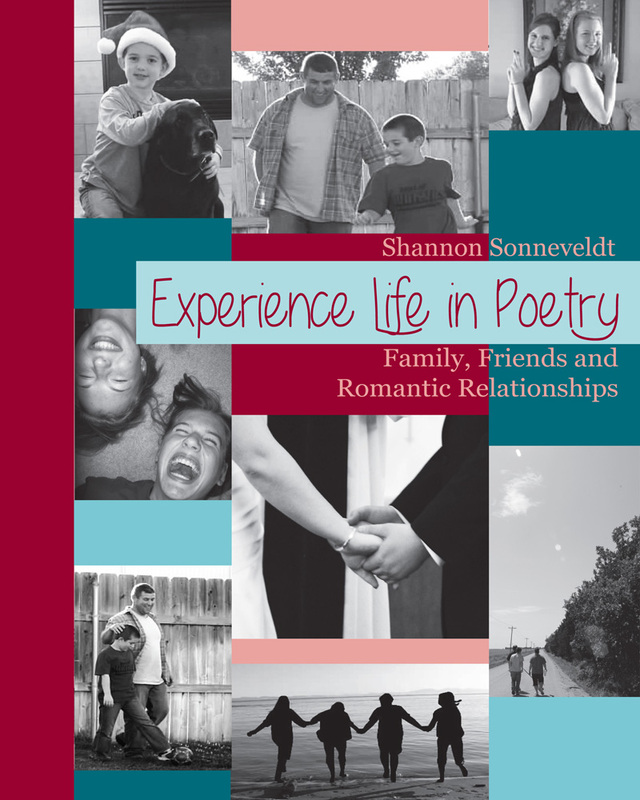 The Experience Life in Poetry series has a special place in heart as the works that make up each volume were written over a long period of time and hold many memories. 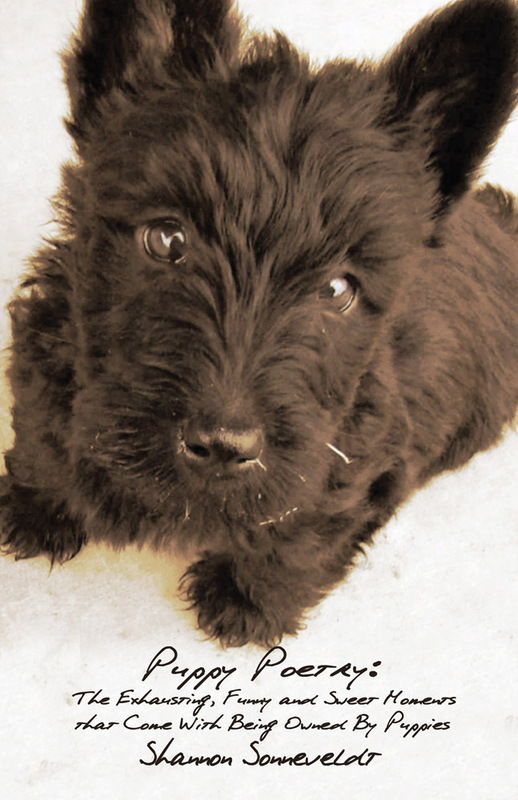 “The Puppy Poetry” book was inspired by the two newest additions to our home–Conner and Zoe, Scottish Terrier puppy siblings. While they have been exhausting and frustrating at times, they have brought great joy and love into our home, so it is special–it may be my favorite cover though, how could you not love that face! It’s my baby Zoe. Ooh, that is an adorable face! And the Fibromyalgia book means so much to me because it is a way to educate and offer support and encouragement to those diagnosed with Fibromyalgia. It can be so hard to find your way through the pain to a life filled with hope and I pray this book will offer that support or resources to someone who needs them. So much like a parent with her children, I love them all just in different ways. My characters, whether for poetry or in fiction, come from interactions with people in daily life, from watching people on the news, on TV, walking on the street–these bits and pieces come together to make up the whole and form the basis of the characters. The best experience I’ve had as a writer was when someone approached me and told me how much one of my poems touched her, how it felt like someone understood what she was feeling and going through. It was a poem she said she reviewed several times a week. Even if she were the only one who enjoyed the work or found value in it, it was worth publishing it just for her. I haven’t yet had a really bad experience as a writer yet, but I am always nervous when sharing something I’ve written. The jitters while awaiting the reaction of others, is definitely not my favorite part of writing. My latest release is a nonfiction book about Fibromyalgia. 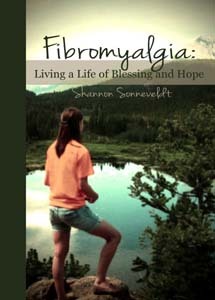 The book provides basics about Fibromyalgia, stories of individuals with Fibromyalgia and how they hare working through their pain and symptoms to live a life of hope. “Fibromyalgia: Living a Life of Blessing and Hope” is available on Amazon US and Amazon UK. I strive for all my writing to provide education, inspiration, support or encouragement. My goal is to write and be true to myself and honor God in all that I create. I am looking forward to see what I become inspired to create and where this journey will take me. I love meeting and talking with fans and other authors, every interaction and experience has meaning and provides inspiration or opportunities for encouragement. My fans may not know that I very strongly dislike–ok maybe I’m just afraid–of spiders. They freak me out with a passion, big or small makes absolutely no difference. My husband and son find it amusing to tease and torment by putting the most realistic looking fake spider under the covers in my bed. Really boys? I do not need one more reason not to sleep, ugh! After seeing a spider downstairs once, it took me at least two weeks before I stopped checking every surface on my way to my destination to be sure no spiders would leap on me. I can’t express the level to which spiders totally freak me out! 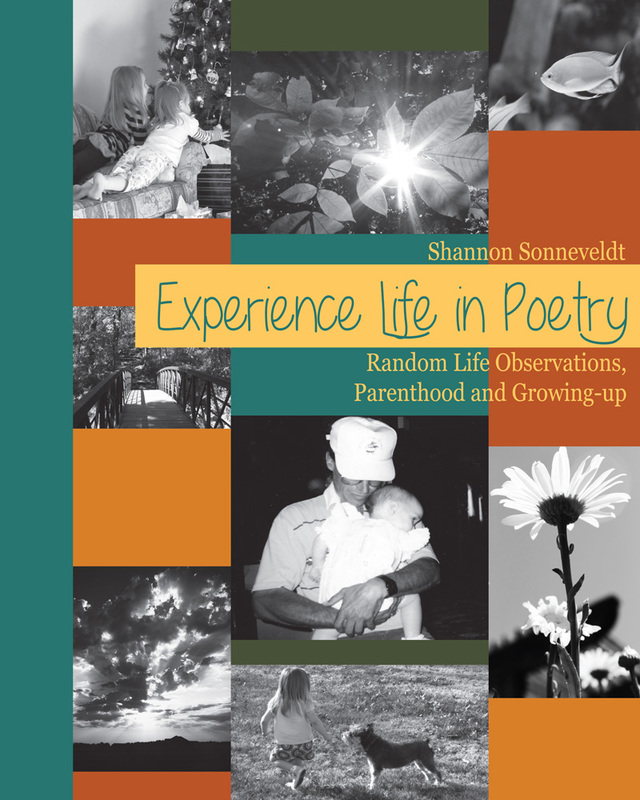 This is one reason those who know me well are surprised by my ‘World Class Artist’ poem in Volume one of the Experience Life in Poetry series. It’s about the beauty of the spider’s web. I can appreciate the artistry while not loving the artist. Shannon, it has been a pleasure talking with you. Thank you for taking the time to interview with me today.